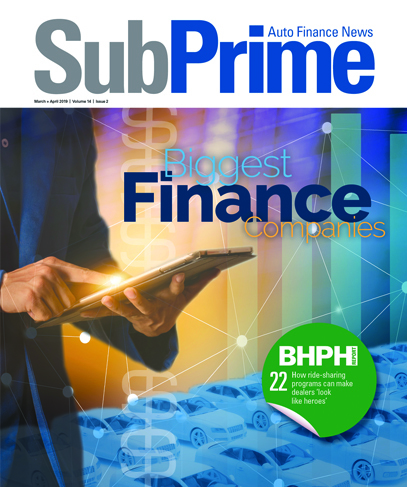 Protective Asset Protection, a provider of F&I programs, services and dealer-owned warranty programs, recently announced results of a recent survey it commissioned to gauge the pulse of owners of today’s largest automotive dealers on issues ranging from F&I product performance in 2018 to their awareness of the changing tax law on participation programs. When President Donald Trump signed into law his Tax Cuts and Jobs Act for 2018, Protective Asset Protection indicated he also affected the profitability of dealer participation programs. Under the new tax law, Protective Asset Protection explained dealerships have just a few months before having to make initial decisions on passive foreign income in connection with non-controlled foreign corporations (NCFCs). According to the survey recently concluded by Protective, 43 percent of dealer executives are unaware of how the new tax laws are affecting accounting for NCFC business structures, and another 46 percent are unsure how it will be affected. The provider emphasized this development is important since, according to the survey, approximately 53 percent of dealer executives said they utilize an NCFC as a participation program. Many dealer groups participate in NCFCs as a way to defer tax liability and participate in underwriting results. “Having worked with NCFCs myself for many years, I fully understand why dealers often chose this structure,” said Matt Gibson, vice president for Protective Asset Protection. “However, the new tax law certainly creates uncertainty about the future of NCFCs. Gibson went on to mention there is also a lot at stake financially. According to the survey, 33 percent of dealer executives said the annual premiums of the F&I products they sell are valued between $500,000 and $1 million. Editor's note: This topic will be explored in more detail during a future episode of the Auto Remarketing Podcast. Our library of past episodes is available here.